A device that can analyze the chemical and electronic composition and states of materials within a single atomic layer of a surface is now up and running in the Department of Chemical Engineering. 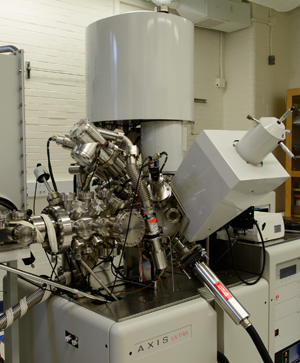 And it is proving invaluable to Ryan Green, a master’s student in Materials Science, who is using the X-ray photoelectron spectrometer (XPS) as part of his thesis project. “It is most certainly an exciting and unique opportunity here at the Hajim School,” Green said. Funded with a $799,000 NSF grant, the XPS will further a wide range of University research efforts, including alternative solar cell technologies, more efficient production of quantum dots, development of new biomedical devices, and the preservation of aging daguerreotypes, says Alexander Shestopalov, assistant professor of Chemical Engineering, who was the PI on the grant. Accessible to both UR and outside researchers, the XPS is the only such shared device between Ithaca and Buffalo. UR courses are being modified so that students in engineering, physics and materials science can have hands-on experience with the instrument. 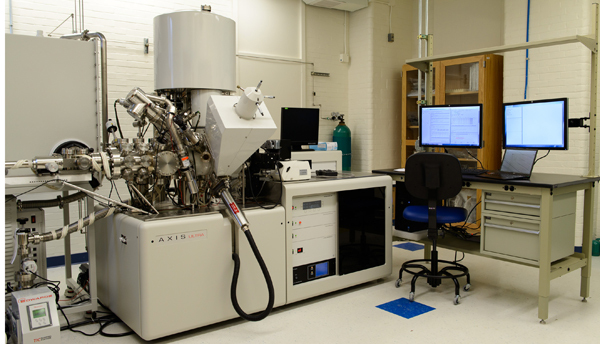 A materials science and mechanical engineering course, ME 451 -- Crystallography and X-ray Diffraction -- will include two week-long sections on the theory and applications of XPS. 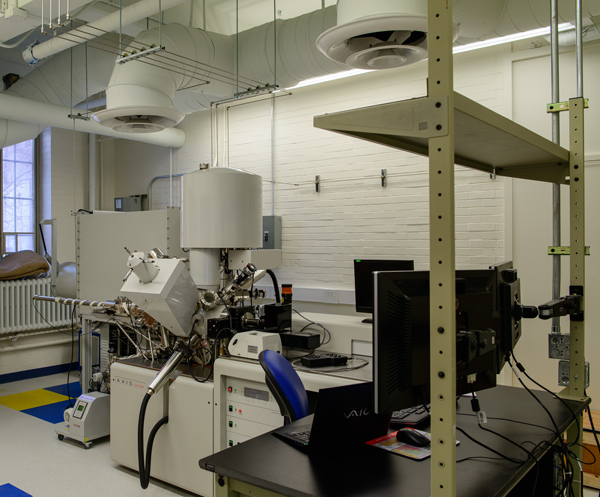 In addition to the course’s existing eight laboratories and a final project “we will add two XPS labs using the new equipment,” Shestopalov said. The XPS lectures and laboratories also will be made available to faculty and students from Rochester Institute of Technology. In addition, CHE 292/492 – Biointerfaces—includes a lab component in which “all students taking the class will prepare several samples and analyze them with the XPS,” Shestopalov said. Advantages of the XPS include its ability to probe nanometer scale layers directly and with little to no destruction. 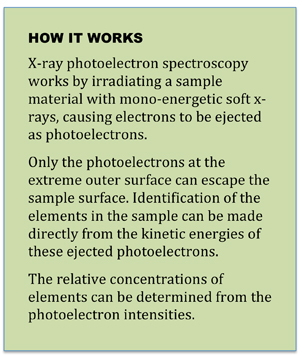 In addition, it permits researchers to determine the electronic structure on a more fundamental level using UPS, which uses ultraviolet radiation instead of x-rays. “This tool is an extremely useful and fundamental measurement technique used in wide ranging disciplines seeking to understand research in terms of Materials Science,” Green added.